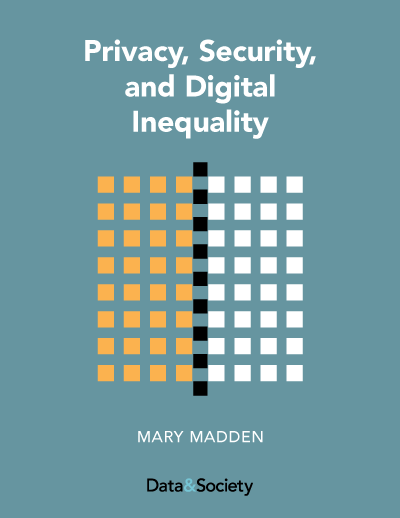 “Privacy, Security, and Digital Inequality” by Mary Madden is the first in-depth analysis of the privacy and security experiences of low-socioeconomic-status populations in the United States. 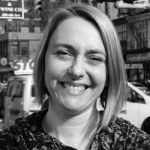 Supported by the Digital Trust Foundation, the report finds that most of those living in U.S. households with annual incomes of less than $20,000 per year are acutely aware of a range of digital privacy harms, but many say it would be difficult to access the tools and strategies that could help them protect their personal information online. The report provides additional insights about mobile device use and demand for digital privacy and security training. In light of the September 18th announcement by the U.S. Department of Homeland Security about federal agencies’ intent to collect social media information and search history from a variety of immigrant groups, “Privacy, Security, and Digital Inequality” is especially relevant: In particular, the report finds that foreign-born Hispanic adults stand out for both their privacy sensitivities, and for their desire to learn more about safeguarding their personal information.  “Privacy, Security, and Digital Inequality” includes detailed comparisons across different racial, ethnic, and nativity groups, finding that there are substantial gaps across these groups when looking at reliance on mobile connectivity. In light of new pressures surrounding immigration policy and status in the United States, the report is a highly relevant snapshot of the demand for privacy- and security-related training among some of the most vulnerable of these low-socioeconomic-status groups. The report also finds a disproportionate reliance on mobile devices, offering a potential starting point for those looking to provide educational resources. “Privacy, Security, and Digital Inequality,” is based on newly-released data from a nationally-representative telephone survey of 3,000 American adults. The survey, which included interviews in both English and Spanish, was made possible by a grant from the Digital Trust Foundation and fielded in November and December of 2015. The analysis of racial and ethnic minority groups in this report is limited by the survey sample size, and does not include detailed comparisons of Asians, Native Americans, and other subgroups. For instance, in this survey, out of 3,000 respondents, just 3% identified as Asian or Asian American.